Very Good. Kill Shot: An American Assassin Thriller (Mitch Rapp Novel) by Flynn, Vince. Mass market (rack) paperback. Glued binding. 436 p. Mitch Rapp Novel. Very Good. 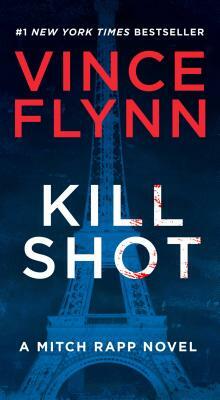 Kill Shot: An American Assassin Thriller (American Assassin Thrillers) by Flynn, Vince. Sewn binding. Paper over boards. With dust jacket. 385 p. Mitch Rapp Novel. I love this series. I was a little confused because I think this book said he was in his mid twenties, and I thought the other books in the series made him in his 30's. Either way, the good guy gets the bad guys, but it takes some doing. Another killer book by Vince Flynn. Book arrived as advertised and on time. Very satisfied.